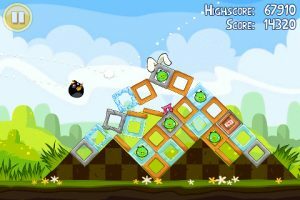 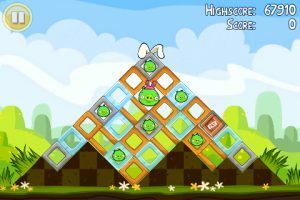 Angry Birds Seasons: The birds are back in 15 new spring-themed levels. 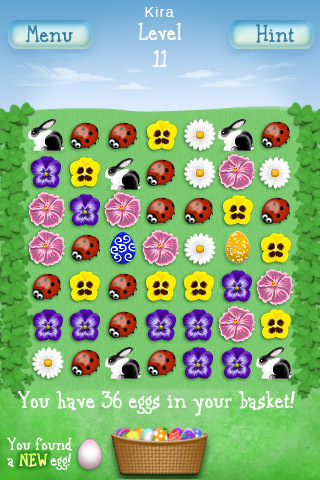 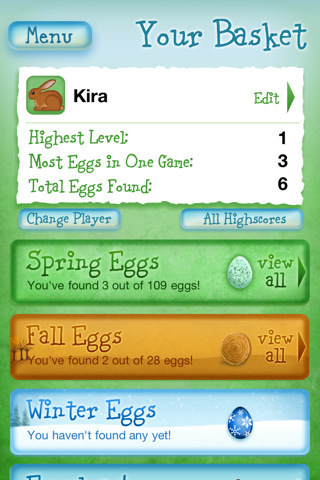 There are golden eggs and chocolate bunnies galore in this cheerful update to everyone’s favorite iPhone game. 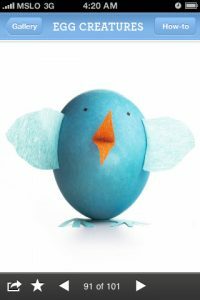 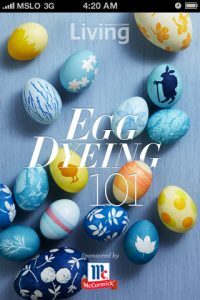 Egg Dyeing 101 from Martha Stewart Living: Featuring 101 beautifully designed eggs, each with detailed instructions on how to create your very own at home. 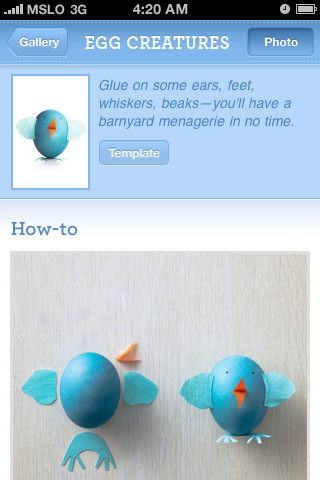 Easy-to-follow photos and videos guide you through the whole process. 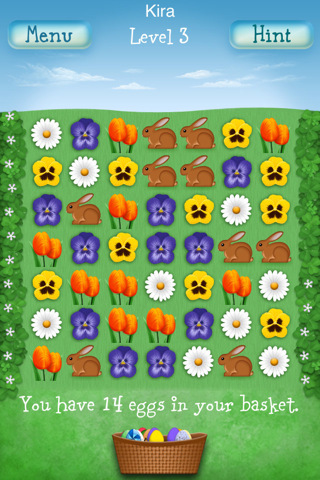 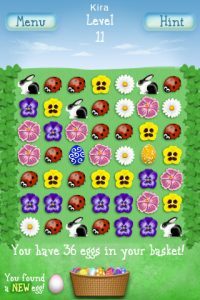 Eggster: A colorful and bright Easter-inspired match-3 game, with three different playable season boards, Eggster is the perfect app to keep the young ones busy. 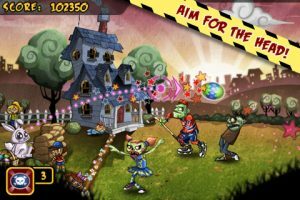 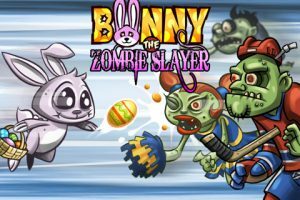 Bunny the Zombie Slayer: If you like brains as much as you like eggs then you’re going to love this Zombie-filled outing from Hothead games. Lob explosive eggs at waves of incoming zombies and help Bunny save Easter from the undead. 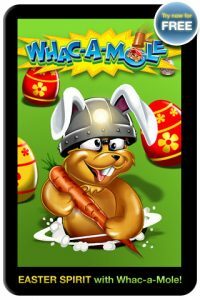 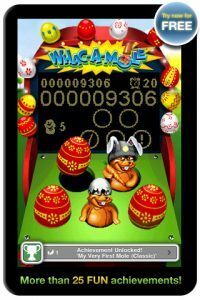 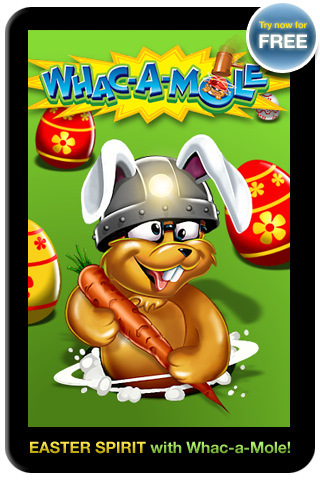 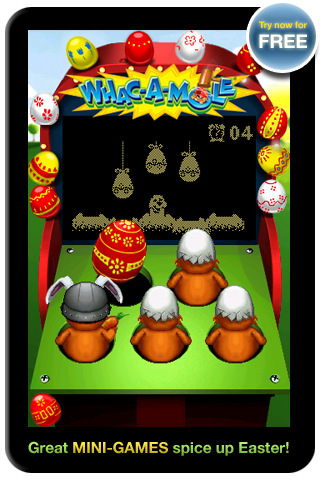 Whac-a-mole: Easter Free: The classic whack-a-mole concept has been given an Easter makeover in this free download that is sure to get your fingers moving. The game features 4 different play modes, achievements and online leaderboards.